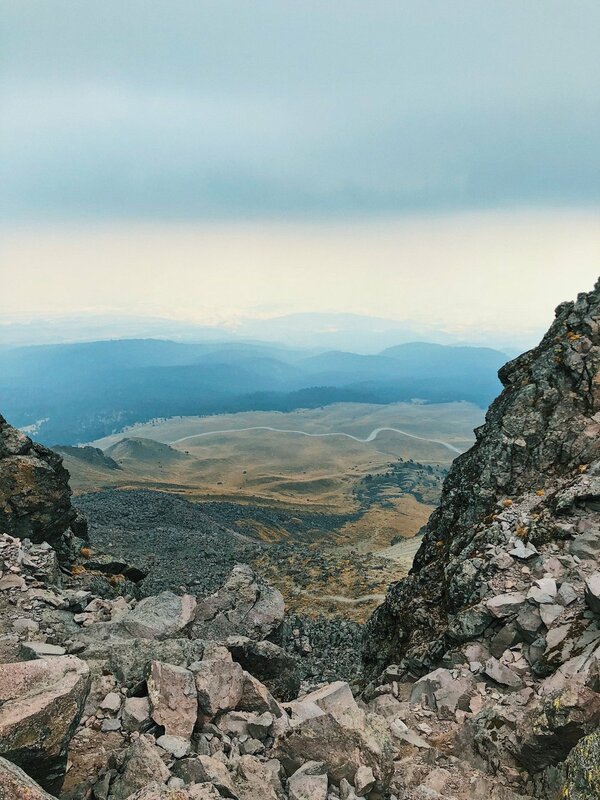 Adventure in Mexico: hiking the volcano Nevado de Toluca. One of the most incredible views I’ve had all year. 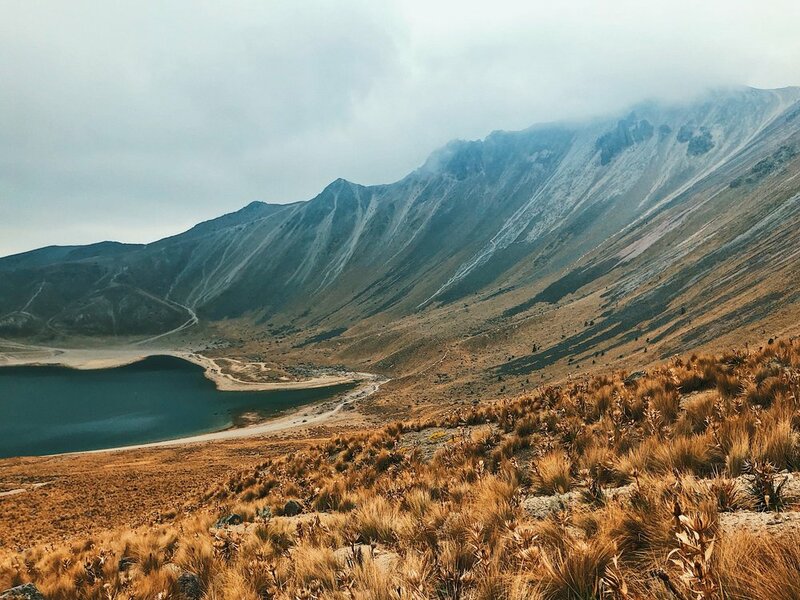 The Nevado de Toluca is a volcano about 2 hours away from Mexico City - it makes for a great day trip if you’re in town! It’s also the 4th highest peak in Mexico. ⚡️Be aware of the altitude and take it easy. If you feel like you’re going slower than normal, you are, and that’s okay. 🧥Dress warm it’s super chilly, even in the summer bring warmers clothes. 🥪Bring food and snacks to power you when you get to the top. 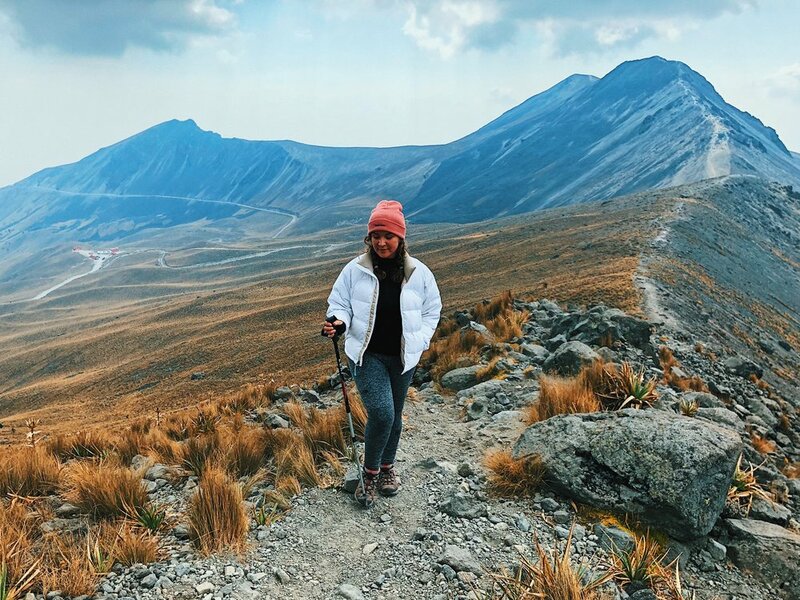 ⛰Carry more water than a standard hike, because of the altitude you might want more than you’re used to. Want to know how to get there? I found a great blog with a clear outline. 🌞Here’s an overview of our trip. We started off by going up towards the ridge, it took us about an hour to get towards the top - including doing a bit of hands on rock climbing (nothing too intense but definitely wear good shoes). We brought gloves and it helped a lot! You can see how warmly we’re dressed - this is in April! Here on the right you can see how the path get’s a bit steep! Seriously mind blowing - and this is on a cloudy and foggy day, imagine when it’s clear! Instead of hiking back or around, we went down the side towards the lake for a huge shortcut (it only took about 30 minutes to get down). It’s fine to do this if you have good boots - the amount of sand you’d get in sneakers or anything with a lower cut would most likely not be comfortable. It’s also a bit steep and you have to keep your balance. Shoutout to my uncle that lives just a couple of hours away from here and brought my sister and I! Any questions or suggestions for great hikes in Mexico? Let’s hear ‘em! 5 things you didn’t know about Los Angeles based artist, BumbleBeeLovesYou.